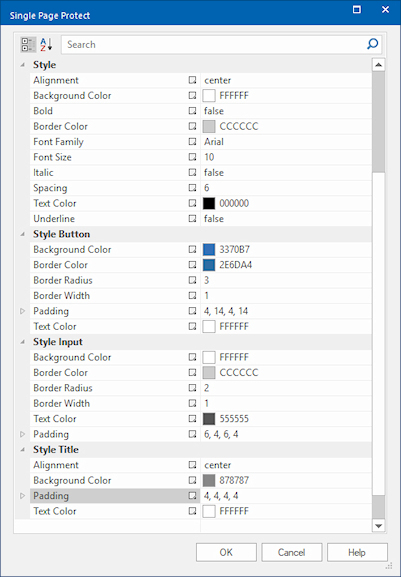 WYSIWYG Web Builder 14.2 update! 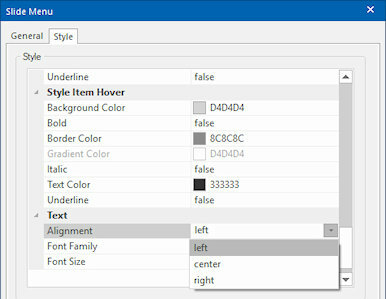 WYSIWYG Web Builder 14.2 is a major update. This version fixes known problems, adds new features and other improvements. 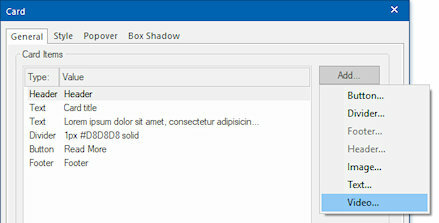 - Fixed: Switching from Master Page to Master frame crashes program when the page is not active. - Fixed: Visibility issue with images in flexgrid and breakpoints. 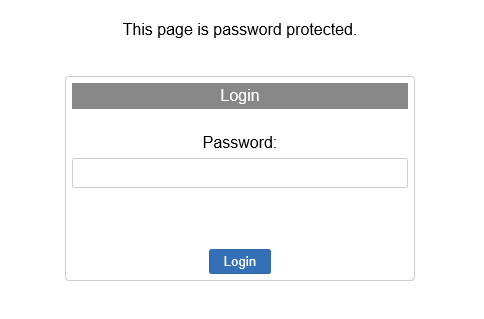 - Fixed: Login Name does not apply background alpha value. - Improved: Implemented workaround for 'Failed to open document' error when extensions are missing. - Improved: Projects with extensions can now be opened in the TRIAL version. Extensions will not be functional in demo mode but the application will no longer generate an error (or crash). - Improved: Newly added objects in layers will automatically be moved into the viewport if they are not visible in breakpoints (experimental). - Improved: Redesigned 'Single Page Protect' so it's more mobile friendly. - New feature: Added extra styling options to 'Single Page Protect': colors, padding, border-radius, button and editbox styling etc. 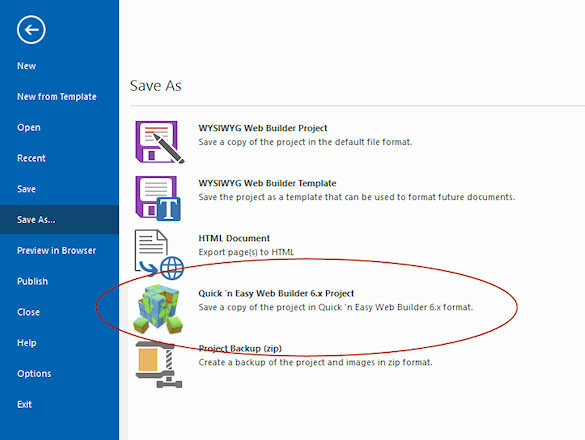 - New feature: Added support for export to Quick 'n Easy Web Builder 6.x format. 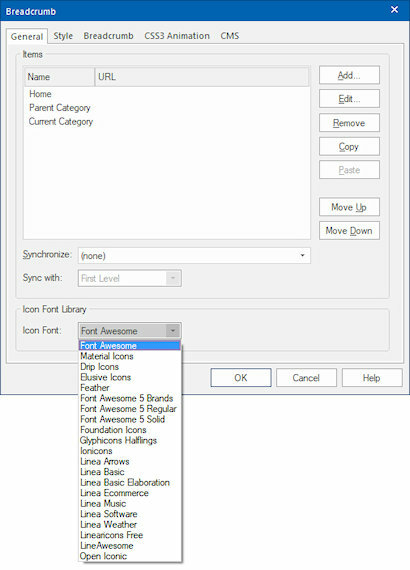 - New feature: Added 3 new built-in variables: $PAGE_NAME$, $PAGE_TITLE$ andf $PAGE_FILENAME$. These variables can be used anywhere in the page and will be replaced by their actual values when the page is published. - New feature: Added alignment property to List View. The alignment is responsive. - New feature: Added alignment property to Slide Menu. The alignment is responsive. 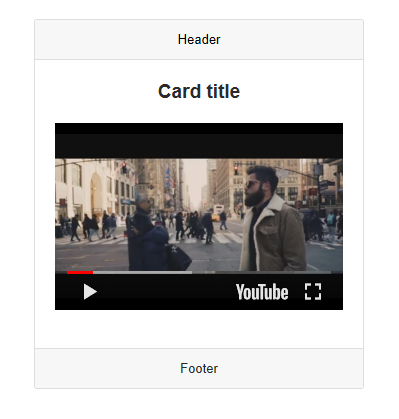 - New feature: Added the ability to add YouTube/Vimeo videos to Cards. 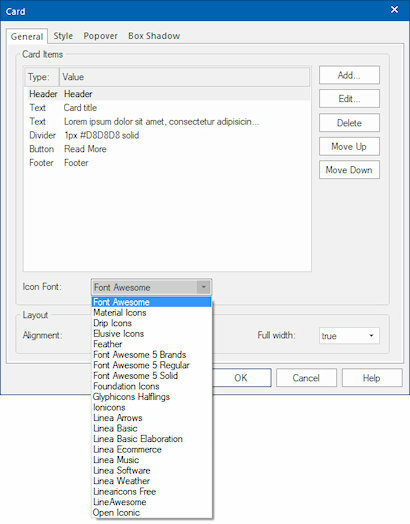 - New feature: Added 'Icon library' option to Card, this makes it possible to use custom fonts (in addition to Font Awesome). 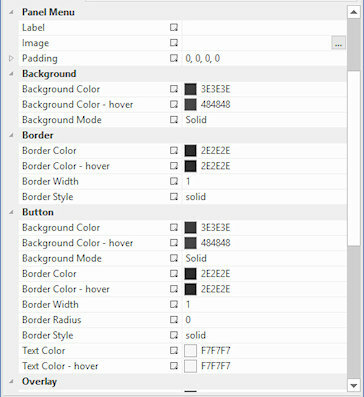 - New feature: Added the ability to set different colors for the button and menu items in Panel Menu. - New feature: Responsive Menu, Breadcrumb, Tabs, Overlay Menu and Panel Menu now support custom icon fonts (in addition to Font Awesome and Material Icons).